Trending: WordPress Zoho Corporation Dreamforce "What Is"
Passive income is a business strategy that allows you to sell products or services on auto-pilot, so you can essentially earn money without doing extra work. It is understandably becoming increasingly popular with entrepreneurs who want to support a comfortable lifestyle without working seemingly endless hours. If this sounds like an attractive option for your business, here are some passive income ideas that you can either add to your existing strategy or form an entirely new business around. If you’ve always wanted to write a book, you can very easily self-publish your work and offer it for sale on platforms like Amazon, where you can earn royalties. Amazon offers up to 70 percent in royalties depending on your rates, and you can publish in about five minutes. If you want to offer your information in a bit of a different format, you could create a course on your own website or on platforms like Teachable or Udemy. Once you complete the creation of the course, students can purchase it and move along at their own pace without any extra work from you. If you have a blog, website or even just a few social media accounts, you can include some affiliate links to different products or services and earn money every time someone makes a purchase based off one of your referrals. The print on demand industry is expected to grow to $10 billion by 2025. With that in mind, it’s more viable than ever to create products with your own custom designs, but then have your POD service of choice actually create the products and fulfill the orders. If you’re a skilled web designer, you can create templates for people to download and add to their sites on their own, rather than only offering custom services that require tons of work. For artists or photographers, you can offer your products as prints that customers can simply print on their own. So you don’t have to actually create and ship the physical products. Another idea for photographers, you can upload your work to stock photo sites and then earn money every time someone purchases or downloads one of your images. For musicians, you can make your work available for companies or individuals to license and use. You earn money for every download or every time your songs are used in a new project. If you want to provide content directly to customers, you can still create videos that are helpful or instructional in some way and then sell them. Set up an auto-responder or automation system to deliver the videos upon a completed purchase. You can also sell instructional or informational products in other formats. Create guides, tutorials, workbooks or even audio content that you can sell and then automatically deliver to customers once they’ve purchased. You can also sell physical products in a passive way by using self-service kiosks. 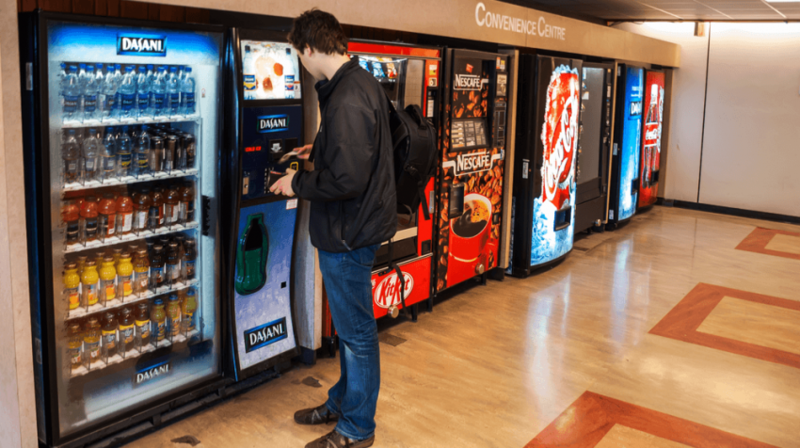 These can include vending machines, self-serve coffee stands or even arcade games with little prizes. You just need to refill them every once in awhile, but it’s much more passive than other businesses that sell physical products. If you have a physical location or vehicle, you could add an advertising space to your revenue streams. Simply make those spots available for display ads for other businesses. If you’re tech savvy or have a great idea for an app, you can create it and then make it available in various app marketplaces. You can earn money from selling those apps, offering in-app purchases or even taking on advertisers within your app. If you have a physical location available, you can offer some of your space to customers for self-storage. You still may need to provide some maintenance to the property. But customers can manage their own units. If you want to stick to an online business, you can set up a website with various content or helpful resources available. Then have customers pay a monthly fee to access your content or community features. If you want to start an ecommerce business, use a dropshipping service to actually fulfill and process the orders. So all you really need to do is set up the shop, and platforms like Amazon can help you get found without much marketing. If you have access to real estate or the ability to buy any, you can hold onto it as an investment or even rent or sell the property to earn a profit. Even if none of the other ideas really sound like they’d fit with your business, you can make your own company a bit more passive by outsourcing as much of it as possible. Simply stay in the visionary or decision making role and bring on other team members to handle all of the day-to-day tasks. Or you can simply take any profits from your business and add it to passive investment accounts like index funds. Leave your money there for years to yield the best possible results. If you’ve got extra space, consider a site called Neighbor.com for renting it out yourself. I did some work for them last year and it’s really cool. Kinda like AirBnB for storage. Putting up storage buildings can be very lucrative. They seem to fill up as fast as they can build them. Yes, that was my thought – that it is possible to make good money with a large vending machine route, but it is a pretty active way to make a living. 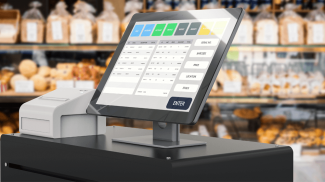 Maybe if you only had a few non-critical machines with customers who were not very demanding – or in your own business – it could be a nice added income. We now live in an interconnected world. There are so many opportunities to change people’s lives. Annie: I will create an e-book version of my first book on tea, in the near future. The network marketing industry is talking a lot about the “passive income”. The question is if it is really a “passive” income, or more of a residual income, or a potential additional income stream? Yes, there isn’t really any such thing as a perpetual money machine. You can generate passive, residual income, but even then you have to keep promoting, creating new additional upsells, etc. This are great ideas. Thanks.